WATERBURY, Conn. - March 7, 2018 - PRLog -- Two Waterbury, CT non-profit organizations are seeking donations for their annual Prom Dress Give-Away event to be held Saturday, March 24 from 11:00 a.m. to 4:00 p.m. in the small ballroom at the Courtyard Marriott at 63 Grand Street in Waterbury. At the event, young ladies may select a maximum of two prom dresses of choice. The non-denominational Acts 4 Ministry, Inc. and The Ungroup Society are partnering once again to serve young women-in-need by accepting donations of prom dresses and much-needed accessories for their 4th Annual Great Prom Dress Give-Away to be held Saturday, March 24th. Through Friday, March 23, both organizations will welcome donations of shoes and accessories, dresses and evening separates. They also seek either direct professional services of hairdressers and nail technicians or gift cards for the young ladies to receive these services. "This year we are in urgent need of accessories," stated Acts 4 Ministry Executive Director Sarah Elizabeth Carabetta. "We still need dress donations as we always look for ways we can re-purpose specialty items that our organization receive in donations that include beautiful evening gowns and accessories. Because the Ungroup Society's mission resonates with our organization's philosophy to inspire acts of love, our organizations hope to make each young lady feel special and elegant on her special prom night." Carabetta explained, "Including providing complimentary dresses and accessories for prom night events, Acts 4 Ministry achieves our goal daily on many levels by collecting and distributing, free-of-charge to recipients, clothing, housewares, and furniture. Each year we distribute clothing to nearly 6,000 people, and over 10,000 pieces of furniture and housewares to people of varying income levels throughout the Greater Waterbury area." Families and individuals are frequently referred to Acts 4 Ministry by other charitable and social organizations to assist people who have suddenly lost their homes to a fire, flood or other unexpected devastation or upsetting life event. The organization's vision is to build relationships with people with varying levels of needs while providing them with the basics of daily living. Acts 4 Ministry, Inc. organization strives to partner with churches, social service agencies, and public schools to help identify and serve people with these needs in the context of the broader community regardless of their faith, race, creed, or national origin, or their willingness to participate in religious activities. Ungroup Society Founder Warren Leach explained, "Our organization was born out of the idea that a person need not belong to any particular religious order, specific organization or ethnic group to help serve the needs of others. Our members desire to be free of rules and regulations that sometimes hinder cooperation and divide different groups. Acts 4 Ministry is on a similar mission. They work to help all people, free of any judgments or requirements. Both groups seek to be of service and to spread a good word both through giving praise and thanks for all while backing it up with actions. All to the Glory of God." The Ungroup Society's Coordinator Prom Dress Giveaway, Rhonda Gatling, stated that the idea to hold a prom gown giveaway in Waterbury came to her four years ago seeing a news segment on television. "There was a story about the Hartford prom gown giveaway so I thought there's probably a similar need in Waterbury. With the help of private citizens and dress boutique's we are able to help young ladies, who may otherwise not attend one of the most important nights of their lives due to financial hardship, have a wonderful prom experience." Donations of accessories, shoes, dresses, and service provider gift certificates, etc., which are all tax-deductible, are requested by Friday, March 23. Donations can be brought to Acts 4 Ministry's building at 1713 Thomaston Avenue in Waterbury, Mondays through Fridays 9:00 a.m. to 3:00 p.m., Saturdays 9:00 a.m. to 12:00 p.m. Visit www.acts4.org or call 203-574-2287. 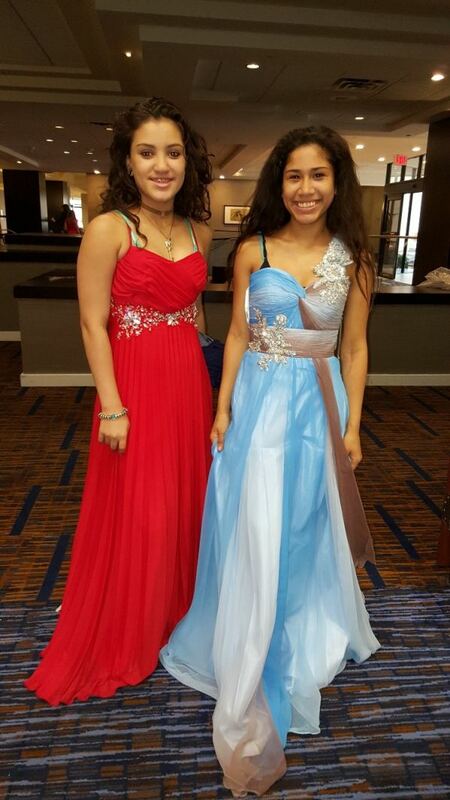 On Saturday, March 24, young ladies seeking dresses may go to thesmall ballroom in the Courtyard Marriott at 63 Grand Street in Waterbury between 11:00 a.m. to 4:00 p.m. to select a maximum of two prom dresses at no cost. To learn more about Acts 4 Ministry, Inc.'s clothing and basic household goods needs and distributions; home visits; furniture deliveries; and our support of local area foods banks, health clinics, shelters, soup kitchens, disaster relief agencies, and international community support, please visit www.acts4.org or call 203-574-2287.
: Acts 4 Ministry, Inc.